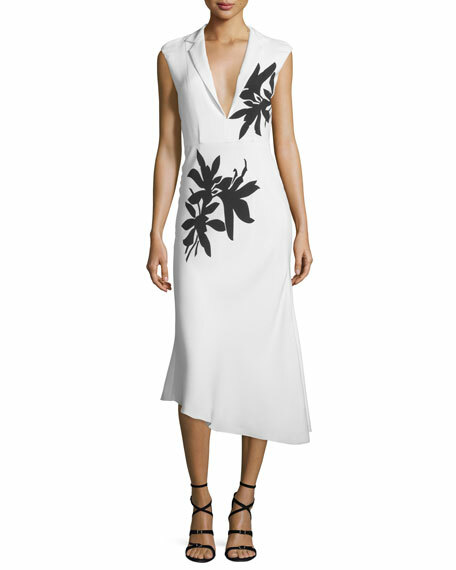 Narciso Rodriguez stretch-woven dress with contrasting floral print. 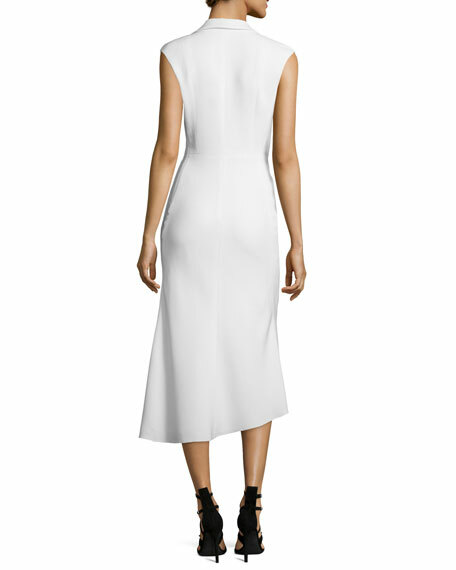 Notched collar; plunging V neckline. For in-store inquiries, use sku #1658593.